Recently one of my friends has been arguing way to hard that Dwayne “the Rock” Johnson is the most important actor in Hollywood. Now I have to say that off the top of my head I think that both Johnny Depp and Robert Downey Jr. have more prestige with both insiders and audiences. But he responds back with box office figures. He has a good point, but I still don’t believe that the Rock could negotiate the type of deals that Captain Jack Sparrow and Tony Stark can pull down. With this debate in the back of my head I recently caught Journey 2: The Mysterious Island. Good Books: Movies from Walden Media in general fit the same mold of movies that Walt Disney himself produced. Walden Media films tend to be family focused and have a moral message. They also generally are based on works of literature instead of original concepts. Walt Disney Pictures and Walden Media together have released Ghosts of the Abyss, Holes, Around the World in 80 Days, Aliens of the Deep, The Chronicles of Narnia: The Lion, The Witch and the Wardrobe, and Chronicles of Narnia: Prince Caspian. With it being nearly five years since a Walden/Disney collaboration, perhaps Disney shied away from this studio after the disappointing $419 million for the second Narnia movie. Yeah, I said disappointing despite being Disney’s second grossing movie of 2008. The Rock: Disney and the Rock have been a great combination. My buddy who has tried to convince me that the Rock is Hollywood’s biggest star bases his argument solely on box office. So let us break down the Disney-Rock box office history. 2007’s very likable The Game Plan, in which the Rock plays a football player who discovers he has an 8 year old daughter, had a budget of $22 million for a $150 million performance. Win the Rock! In 2009, he starred in a movie that I like but do not love, Race to Witch Mountain. The budget expanded to $50 million so the $106 million box office is less impressive. But still Disney made a profit, so win the Rock! So is it the Rock/Disney combination that works. Well 2009 also saw the Rock providing a voice in the forgettable Planet 51. The movie cost $70 million to make but only brought back $105 from the theaters. So Race to Witch Mountain’s win for Disney bringing in slightly more than TriStar Pictures for a smaller budget is a little more impressive now. The Game Plan is probably most comparable to 20th Century Fox’s 2010 Tooth Fairy. I know you thought it was Disney since it stars Disney legend Julie Andrews (what was she thinking) and Billy Crystal. The movie had a budget of $48 million for $112 million in return. So clearly Disney got the better of the Rock three years earlier spending less to make more. Seriously you make a movie with the Rock, you make a profit! 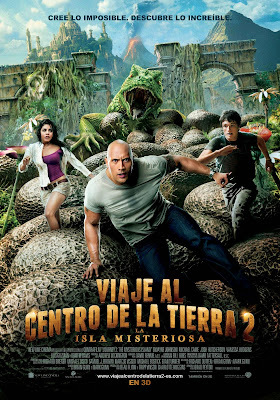 How did Journey 2: The Mysterious Island do? With a budget of $79 million it banked over $325 million! Victory the Rock! Honestly, I do not believe that box office is the only indicator of an actor’s true status as an icon. I think reputation and accolades do matter. But I have to admit, the Rock is bankable. Disney, you need to cast him in something now and plan to watch the bucks roll in. I know that he has been lobbying for a role in The Avengers Initiative, let us make this happen. 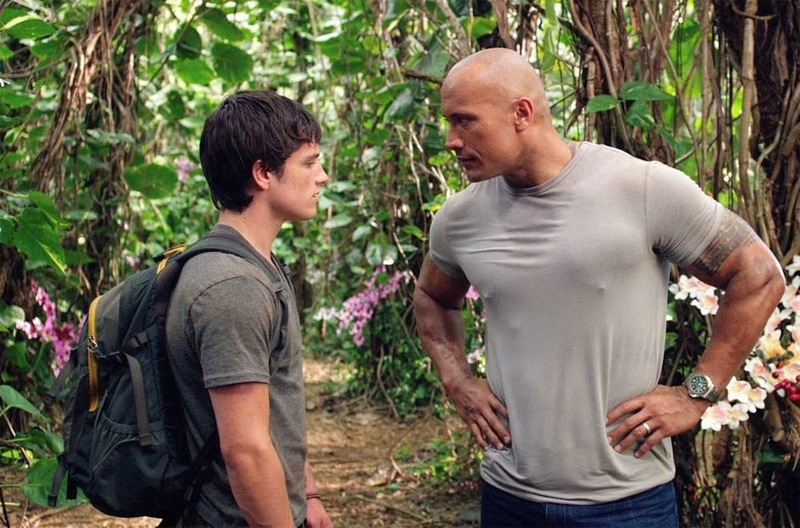 Hungry: The Rock is not the only star with a Disney pedigree. Josh Hutcherson thanks to The Hunger Games is clearly a star. But the first time I saw this young man in a film was Disney’s Bridge to Terabithia which I had thought was going to be in the vein of The Neverending Story. I just knew it was going to be a tale about how imagination wins out while being cute and perhaps silly. I never read the book as a kid! What I did not realize was it was a tearjerker. Hutcherson has also lent his voice to Disney’s U.S. release of Howl’s Moving Castle from Studio Ghibli. Wildcat: Hutcherson is not the only young Disneyfied face. Vanessa Hudgens plays Sean’s love interest and independent minded Kailani. Hudgens broke her career on the Disney Channel with High School Musical and High School Musical 2 (for which we had a mini-party for the Between Tween at the time). And Disney moved her to the big screen with High School Musical 3: Senior Year. The Between Tween has moved onto Marvel movies, which for this dad makes me very very happy. Alfred: Michael Caine plays Sean’s grandfather and Hank’s nemesis, Alexander Anderson. Caine works a lot, I mean a lot. But for the life of me I could not place him in a Disney role. Sure I loved him in ranging from A Bridge Too Far (you really should check out this World War II film) and most recently as Alfred in movies like Dark Knight Rises. Then I felt ashamed, because I was slapped across the face that he voiced English spy Finn McMissile in Cars 2. Shame! Nemo: When I think of Captain Nemo, I think of Disney and the classic 20,000 Leagues Under the Sea. In Journey 2, Captain Nemo’s legacy is prevalent with appearances of his tomb and the Nautilus. I personally really enjoyed the Nautilus look which to me seems inspired by Disney Legend Harper Goff’s classic design. One can also visit a Disney version of Verne’s island at Tokyo DisneySea where guests can discover Nemo’s lair at the Imagineered Mysterious Island. Personally I think Walt Disney would have given a thumbs up to Journey 2: The Mysterious Island. It is a family based adventure, where families have real struggles that they work through in front of our eyes. And when I say struggle, I do not mean those against giant bees but those within the battlefield of interpersonal relationships. And Disney clearly found Jules Verne’s writing a good source for mining material for his own movie. Yes I think Walt Disney would have approved, and wondered perhaps why his studio did not distribute this film. And I do have to admit my WWE inspired friend, the Rock did a nice job!